City Architecture Office have submitted a planning application for new housing in walking distance of Holyrood Park, Edinburgh. On a corner site the proposals provide 11 No. high quality car-free apartments including a communal roof terrace with views across Edinburgh. 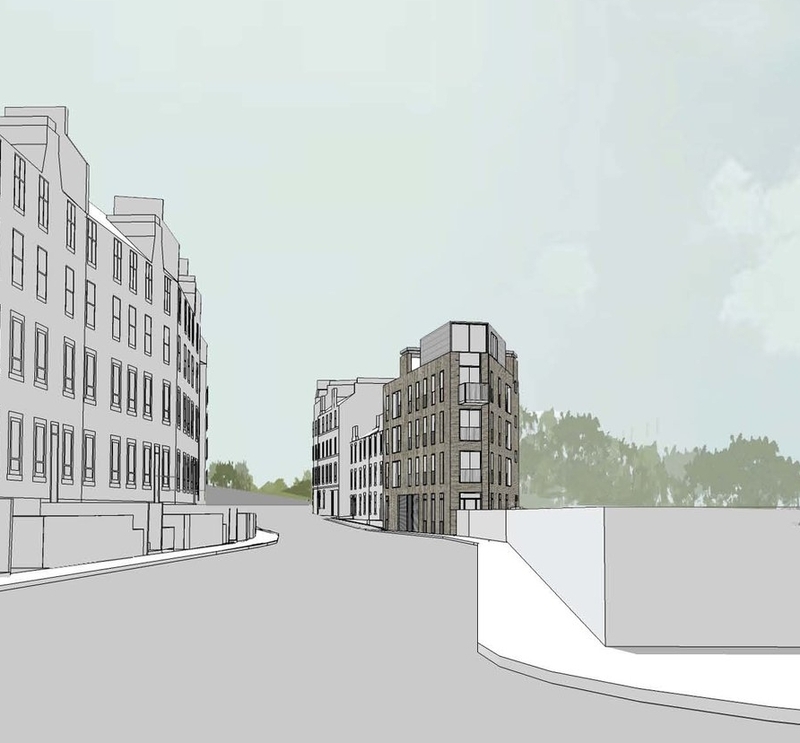 This new housing would complete an existing terrace with a modern contextual design, replacing an advertising hoarding and sub-station. We have worked closely with infrastructure companies to relocate the sub-station improving the site layout & access. 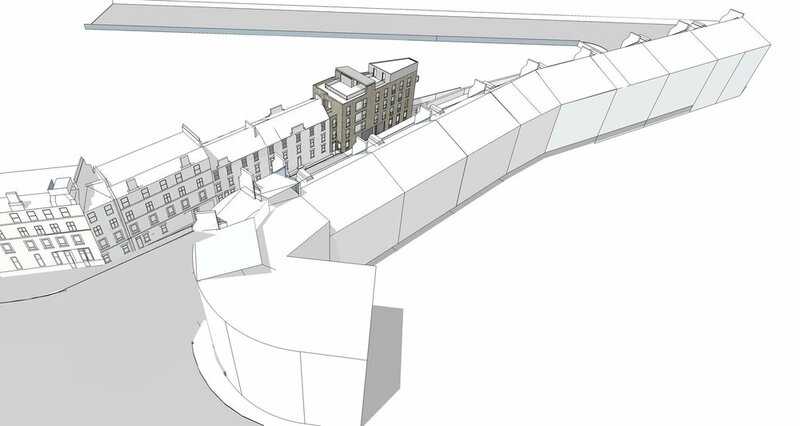 The site is within easy reach of central Edinburgh with increased cycle storage for the car-free home owners.